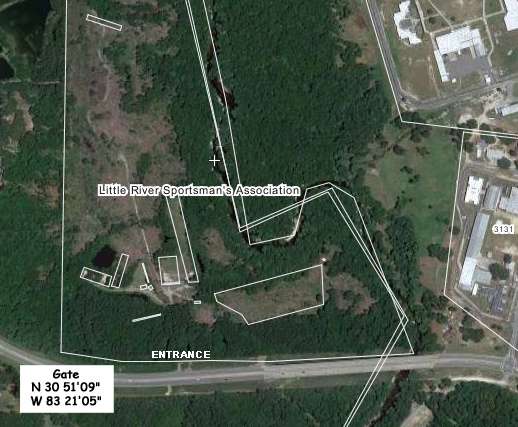 The Little River Sportsman's Association Ranges are located 1.4 miles West of Interstate 75 (Exit 18) in Valdosta GA. Going West on GA-133 towards Moultrie, the entrance to the ranges will be on the right (look for the sign). Traveling East towards Valdosta on GA-133, you’ll drive past the ranges and make a U-Turn at the traffic light (Val-Tech Rd) and go back across the Little River bridge to the range entrance. 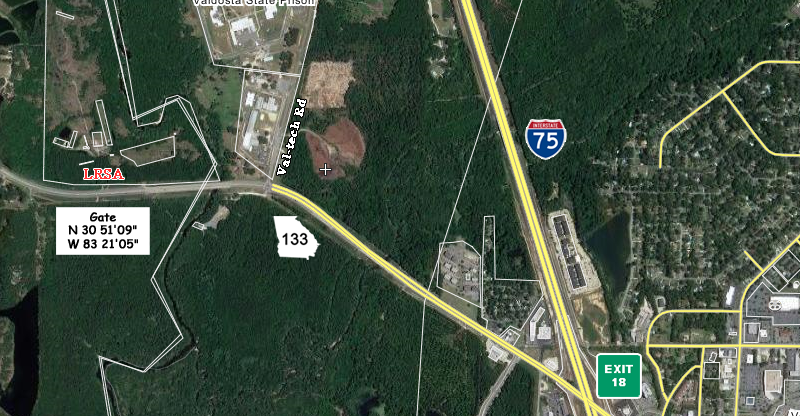 If you are traveling towards Valdosta on US-84, it is simpler to come all the way to I-75 and then go North to Exit 18 and then follow the directions above.